Democratic presidential hopefuls are betting on bold ideas like abolishing the electoral college, but what would that actually mean? Plus, the candidates are boasting large numbers of donations, but what do donations tell us about enthusiasm? This episode: Congressional correspondent Susan Davis, political editor Domenico Montanaro, editor correspondent Ron Elving, and political reporter Miles Parks. Email the show at nprpolitics@npr.org. Find and support your local public radio station at npr.org/stations. Thank you for discussing the electoral college, sadly I was disappointed at the lack of research and understanding. At present, any state that is reliably red or blue regardless the size is ignored during and after the presidential election, while small states vote's count more, only purple states matter. The Supreme Court is weighing whether the Trump administration can include a citizenship question on the 2020 census. This episode: White House correspondent Tamara Keith, political editor Domenico Montanaro and national correspondent Hansi Lo Wang. Email the show at nprpolitics@npr.org. Find and support your local public radio station at npr.org/stations. A day after the release of the redacted Mueller report Democrats and Republicans are treating the findings as a "choose your own adventure" as they use different parts for political messaging. This episode: Congressional reporter Kelsey Snell, political reporter Tim Mak, political editor Domenico Montanaro, and White House reporter Ayesha Rascoe. Email the show at nprpolitics@npr.org. Find and support your local public radio station at npr.org/stations. The 448-page document, released after a nearly two-year-long inquiry, says Mueller's investigation did not establish that the Trump campaign "conspired or coordinated" with the Russian interference effort, which was described as "sweeping and systematic." This episode: Congressional correspondent Scott Detrow, national justice correspondent Carrie Johnson, justice reporter Ryan Lucas, and national political correspondent Mara Liasson. Email the show at nprpolitics@npr.org. Find and support your local public radio station at npr.org/stations. The NPR Politics Podcast analyzes exclusive interviews with the 2020 Democratic candidates. Entrepreneur Andrew Yang, former Congressman John Delaney, and Washington state governor Jay Inslee lay out their vision for the United States. This episode: Congressional correspondent Scott Detrow, political reporter Danielle Kurtzleben and political editor Domenico Montanaro. Email the show at nprpolitics@npr.org. Find and support your local public radio station at npr.org/stations. The Justice Department announced Thursday that it is charging Julian Assange, setting the stage for a historic legal showdown with the controversial founder of WikiLeaks. Plus, Attorney General William Barr has launched his own informal inquiry about the origins of the Russia investigation just days before the release of the redacted Mueller Report. This episode: Congressional correspondent Scott Detrow, justice reporter Ryan Lucas, national political correspondent Mara Liasson, national security editor Philip Ewing, and political editor Domenico Montanaro. Email the show at nprpolitics@npr.org. Find and support your local public radio station at npr.org/stations. Secretary of Homeland Security Kirstjen Nielsen is leaving her post, President Trump announced as he continues to focus on restricting border crossings amid a recent surge. This episode: political reporter Danielle Kurtzleben, national political correspondent Mara Liasson and political editor Domenico Montanaro. Email the show at nprpolitics@npr.org. Find and support your local public radio station at npr.org/stations. This episode: President Trump is backing down from his threat to shut down the U.S. Southern border .Trump had issued the warning in a bid to curtail surging border crossings by asylum-seekers from Central America. And congressional Democrats attempt to get Trump's tax returns. White House correspondent Tamara Keith, national political correspondent Mara Liasson, justice reporter Ryan Lucas, political reporter Tim Mak and chief economics correspondent Scott Horsley. Email the show at nprpolitics@npr.org. Find and support your local public radio station at npr.org/stations. The first quarter for campaign fundraising ended March 31 and although campaigns aren't required to report their totals to the Federal Election Commission until April 15, several campaigns have already released their figures. What do these early numbers signify for campaigns? This episode: Congressional reporter Kelsey Snell, national political correspondent Mara Liasson and political editor Domenico Montanaro. Email the show at nprpolitics@npr.org. Find and support your local public radio station at npr.org/stations. Former Vice President Joe Biden on Sunday responded to allegations that he acted inappropriately when he kissed the back of a former Nevada Democratic assemblywoman's head at a campaign event in 2014, saying his behavior has been affectionate but never unseemly. This episode: White House correspondent Tamara Keith, political reporter Danielle Kurtzleben, and national political correspondent Mara Liasson. Email the show at nprpolitics@npr.org. Find and support your local public radio station at npr.org/stations. It's been four days since Attorney General Bill Barr delivered his summary of the special counsel's report to Congress. How are Democrats and Republicans pivoting now? Plus, white men running for president are questioned about their statements on gender. This episode: Congressional correspondent Scott Detrow, White House correspondent Tamara Keith, political editor Domenico Montanaro, political reporter Danielle Kurtzleben, and Congressional correspondent Susan Davis. Email the show at nprpolitics@npr.org. Find and support your local public radio station at npr.org/stations. The NPR Politics Podcast analyzes exclusive interviews with the 2020 Democratic candidates. Former Starbucks CEO Howard Schultz, Senator Kirsten Gillibrand, and Hawaii Representative Tulsi Gabbard lay out their vision for the United States. This episode: Congressional correspondent Scott Detrow, political reporter Danielle Kurtzleben and political editor Domenico Montanaro. Email the show at nprpolitics@npr.org. Find and support your local public radio station at npr.org/stations. Special counsel Robert Mueller did not find evidence that President Trump's campaign conspired with Russia to influence the 2016 election, according to a summary of findings submitted to Congress by Attorney General William Barr. This episode: Congressional correspondent Scott Detrow, White House correspondent Tamara Keith, national justice correspondent Carrie Johnson and Congressional reporter Kelsey Snell. Email the show at nprpolitics@npr.org. Find and support your local public radio station at npr.org/stations. Attorney General William Barr received a report on Friday by special counsel Robert Mueller about the findings from Mueller's investigation into the Russian attack on the 2016 presidential election. Mueller is not recommending any more indictments, a senior Justice Department official told reporters. This concludes the special counsel's probe. This episode: Congressional correspondent Scott Detrow, White House correspondent Tamara Keith, national justice correspondent Carrie Johnson, and Congressional correspondent Susan Davis. Email the show at nprpolitics@npr.org. Find and support your local public radio station at npr.org/stations. 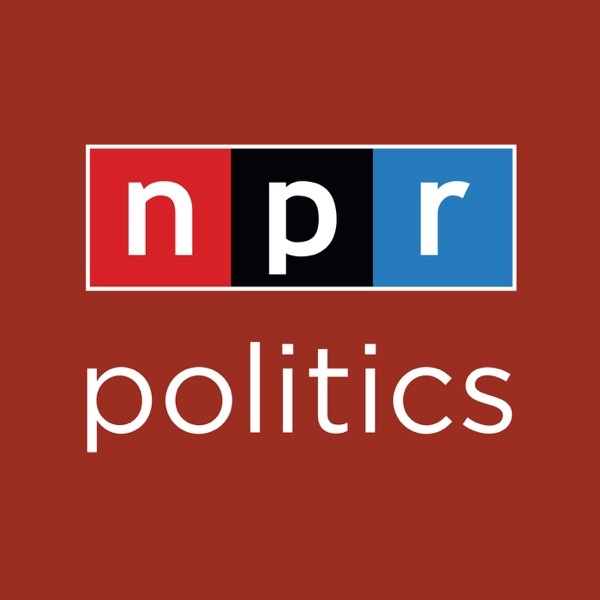 In the second of two episodes The NPR Politics Podcast analyzes exclusive interviews with the 2020 Democratic candidates. Senators Bernie Sanders, Elizabeth Warren, and Amy Klobuchar lay out their vision for the United States. This episode: White House correspondent Tamara Keith, Congressional correspondent Scott Detrow, and political editor Domenico Montanaro. Email the show at nprpolitics@npr.org. Find and support your local public radio station at npr.org/stations. In the first of two episodes The NPR Politics Podcast analyzes exclusive interviews with the 2020 Democratic candidates. Senator Kamala Harris, Senator Cory Booker, and Mayor Pete Buttigieg lay out their vision for the United States. This episode: White House correspondent Tamara Keith, Congressional correspondent Scott Detrow, and political editor Domenico Montanaro. Email the show at nprpolitics@npr.org. Find and support your local public radio station at npr.org/stations. Beto O'Rourke announces that he will run for president. Plus, the Senate votes to block Trump's national emergency declaration that would give him the money for his wall. This episode: political editor Domenico Montanaro, political reporter Danielle Kurtzleben, editor correspondent Ron Elving, national political correspondent Mara Liasson, and Congressional correspondent Sue Davis. Email the show at nprpolitics@npr.org. Find and support your local public radio station at npr.org/stations. Paul Manafort received a total sentence of about 7 and a half years in prison on Wednesday following the guilty plea in his Washington, D.C., conspiracy case. Plus, Nancy Pelosi throws cold water on impeachment talk, saying Democrats are unlikely to go down that path because the president is "just not worth it." This episode: Congressional correspondent Susan Davis, justice correspondent Carrie Johnson, and national political correspondent Mara Liasson. Email the show at nprpolitics@npr.org. Find and support your local public radio station at npr.org/stations. Manafort Sentenced To 3.5 More Years; Pelosi Says Impeachment Is "Just Not Worth It"
Former Vice President Joe Biden addressed a friendly crowd of union firefighters as he appears on the verge of launching a campaign for the 2020 Democratic presidential nomination. Over the weekend South by Southwest became a major presidential forum. Democrats competed with each other to be the tough-on-tech candidate. This episode: White House correspondent Tamara Keith, Congressional correspondent Scott Detrow, and national political correspondent Mara Liasson. Email the show at nprpolitics@npr.org. Find and support your local public radio station at npr.org/stations. This is a special episode, recorded in front of a live audience at the Buckhead Theatre in Atlanta on Friday, March 9th. The cast breaks down everything you need to know about who's running for president, and how Trump is going to respond to them. This episode: White House correspondent Tamara Keith, Congressional correspondent Scott Detrow, White House reporter Ayesha Rascoe, and political editor Domenico Montanaro. Email the show at nprpolitics@npr.org. Find and support your local public radio station at npr.org/stations.